Thanks For The Happiness, Birthday Girl! Last night as I ripped to the next day on my Life’s Little Instructions calendar, I couldn’t help but smile. Considering today’s date, the advice seemed handpicked for me. You see, January 28 is Sidney’s birthday. What a fitting Life’s Little Instruction for this date. What can I say? The advice is true, at least from my perspective. If you read this blog or are familiar with our family, you know what part of the 90 percent equation I am on. Much of my happiness in life is derived directly from Sid or by something she has given me (such as a certain toddler). 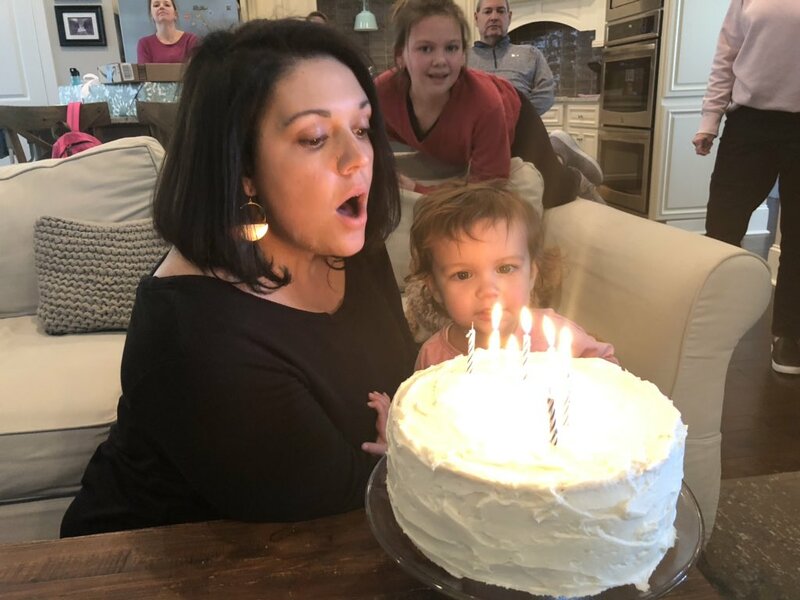 Sidney blowing out her candles this past weekend while Sloan looks on. If it wasn’t for this date and the girl who was born on it, I don’t know where I would be. I truly don’t think there is anyone out there who could give me 45 percent of my happiness, let alone double that amount. Sidney fills my cup for sure. A year after spending her birthday taking care of her sick husband and daughter, she is celebrating her special day in 2019 by doing something more on her terms. This evening, after opening presents with Sloan and I, she is heading off to Columbia, the state capital of South Carolina. Tomorrow is the “SC for Ed Money Matters Lobby Day” and she will join fellow teachers from across the state to let elected officials know the resources educators need to truly give the best educational experience to our youth. Let’s pray that Sid travels safe tonight and is well-rested for tomorrow’s festivities. 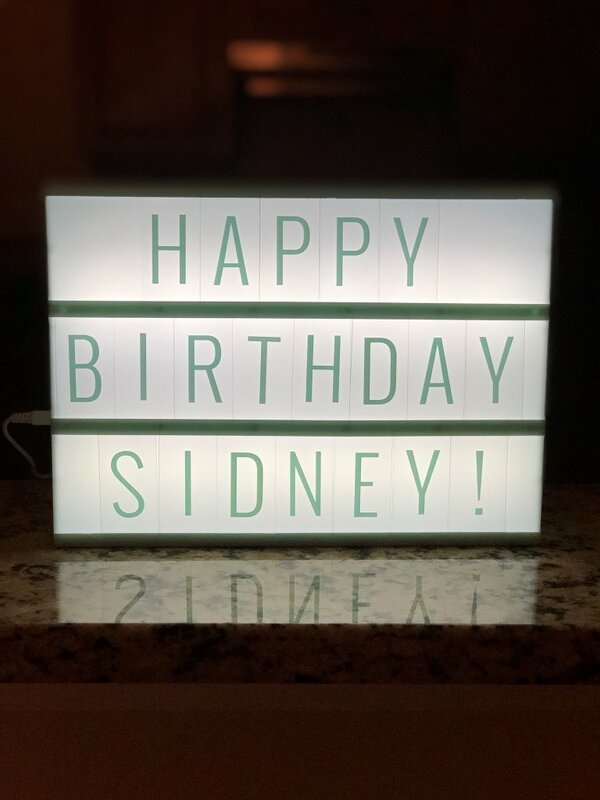 Happy Birthday, Sidney! Thank you for making me happy. Don’t Blink. 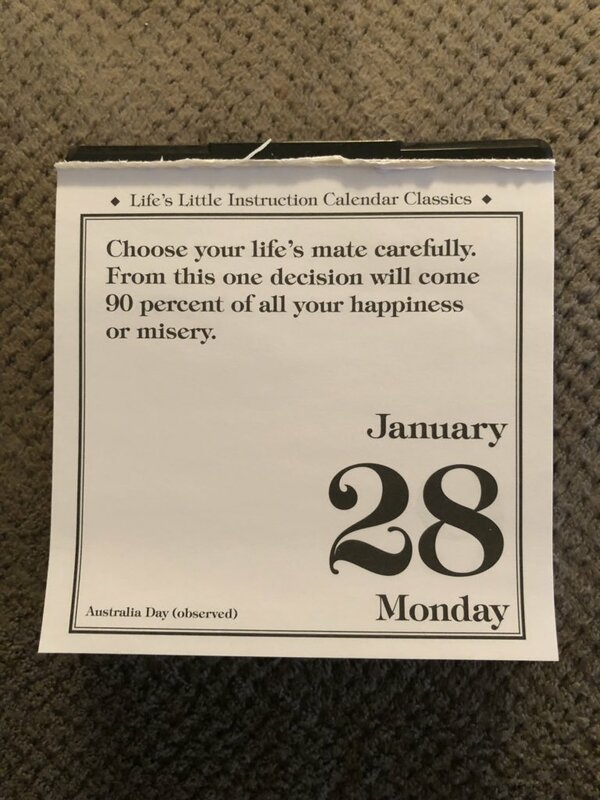 This entry was posted in Uncategorized and tagged Life's Little Instructions, Life's Little Instructions calendar by brent. Bookmark the permalink.